Tata Motors sales in the domestic market in September 2018, grew by 20%, at 64,520 units compared to 53,964 units over the previous year. The cumulative domestic sales performance (April-September 2018) for Tata Motors witnessed a strong growth of 40% with 339,186 units as compared to 242,787 units in the same period last year. Tata Motors’ Commercial Vehicles (CV) domestic sales in September 2018 grew by 26% at 46,169 units as against 36,678 units in September 2017. The cumulative sales for the period April-September 2018 was at 232,487 units as compared to 161,370 units for same period last year, a growth of 44%. This growth is led by the continued acceptance and superior performance of our full range of vehicles across all segments. It is also supported by the continued growth of the CV industry on the back of strong economic activities, with growth in Index of Industry production (IIP) and core sectors. The M&HCV truck segment for Tata Motors continued to grow by 32% with 16,239 units compared to 12,259 units last year. This growth was led by the strong acceptance and superior performance of Signa and Prima trucks and tippers. The M&HCV industry continues to grow on the back of road construction, affordable housing, irrigation projects and government spending on infrastructure projects in addition to the healthy growth in core sectors like cement, coal and steel. The e-commerce, FMCG, Durables, and Auto carriers, 3PL players and oil tankers are also driving the growth of MHCVs. Tata Motors’ I&LCV truck segment delivered a robust performance with 5,465 units compared to 4,449 units over last year, a growth of 23%. This growth was strengthened by the new Tata Ultra range of trucks gaining significant acceptance and contributing to volumes. Farm loan waivers and Minimum Support Price (MSP) hikes is continuing to support rural sentiments and the economy. Private Final Consumption Expenditure (PFCE) has also been a lead indicator of the ILCV demand. The commercial passenger carrier segment witnessed a steady growth of 6%, with 4,619 units over last year. The CV passenger vehicles segment continues to grow albeit on a slower pace on the back of STU sales and ambulances, in addition to the uptick in the STU buying. Tata Motors’ Passenger Vehicles (PV) domestic sales in September 2018 continued its growth trend at 18,429 units compared to 17,286 units, higher by 7% over last year. This is the third consecutive month Tata Motors’ Passenger Vehicles grew significantly, while the industry witnessed degrowth. The continuous strong demand for our new generation vehicles has led to this consistent month-on-month growth. 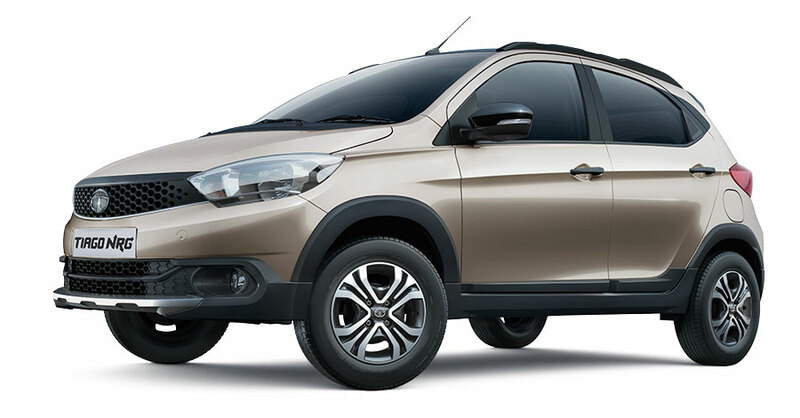 While the Tiago continues to connect aspirations of new sets of customers with the recent launch of Tiago NRG, the Nexon AMT and Nexon KRAZ limited edition have received an overwhelming response, witnessing good traction in the market. Cumulative sales of PV in the domestic market for the fiscal (April-September 2018) grew by 31%, at 106,865 units compared to 81,417 units for the same period, last fiscal. The company’s sales from exports (from CV and PV) in September 2018 grew by 35% with 5,250 units compared to 3,887 units last year. The CV Exports have shown a strong growth owing to the increase in uptake in demand in Bangladesh post the Eid season supported by the festive buying in Nepal.